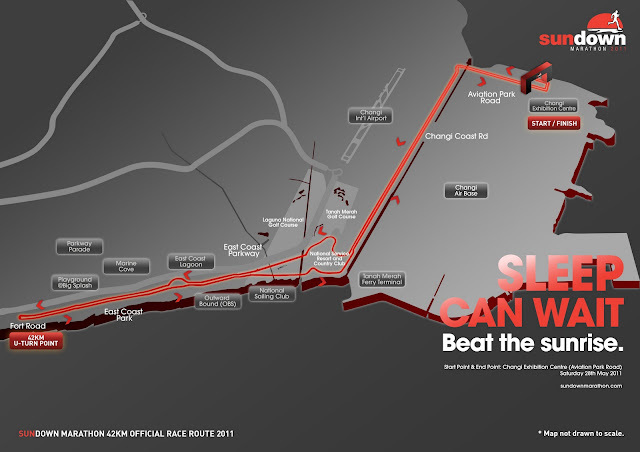 Finally, Sundown Marathon 2011 routes confirmed! 42km route which is same as 2010 route. Last year, there's were few un-pleasant things happened! 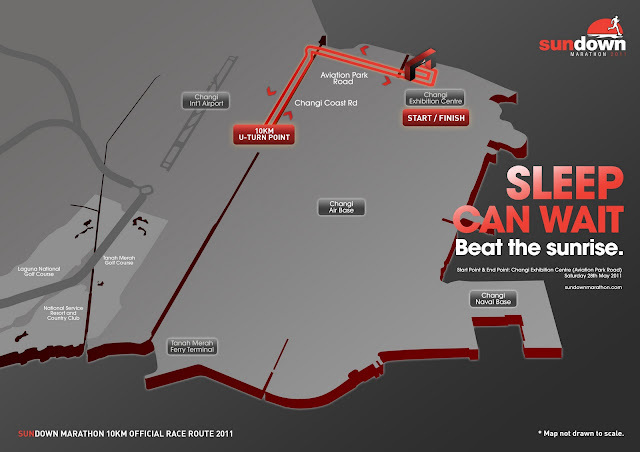 Taxis driver did not know where's is the race venue - Changi Exhibition Centre. Hope this year, this wont be repeating again.